Convert any PDF, EPUB, RTF, TXT or HTML eBooks or iBooks to audiobooks narrated by a wide range of voices. Music Cleanup is a good tool to fix missing information like artist, genre and album artwork in iTunes and your local music library. Record sound from chat messengers (Skype/QQ/MSN/ICQ/MySpace /Yahoo Voice Chat), Internet, music played, microphone, earphone, line-in, CD player, TV, radio, telephone, cell phone, etc. 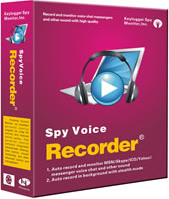 Real-time sound recorder software, which offers professional the different mp3 recording modes as needed. Record sound from a microphone, line-in, and just about any other programs. Create and convert video clips, audio, photo files for your Android based mobile or smartphone. Supports more than 100 devices, e.g from Acer, Archos, HTC, Huwei, LG, Motorola, Samsung, Sharp, Sony, T-Mobile, Toshiba, Vodafone.